State-run Indian Oil Corp, the country’s biggest refiner will buy Malaysian firm Petronas’ 10 per cent stake in a shale-gas assets and liquefied- natural-gas (LNG) project in British Columbia for $900 million. The acquisition of stake in Progress Energy Resources Corp for 1 billion Canadian dollars ($900 million) mark the Indian refiner’s maiden entry into North America. “I am pleased to announce that we have just finalised a further 25 per cent equity participation from an Indian party and an established Asian LNG buyer,” the Malaysian state firm’s president and chief executive Shamsul Azhar Abbas said at the LNG Supplies for Asian Markets conference in Singapore. Though he did not disclose the identity of buyers, sources said IOC is buying 10 per cent stake and the remaining 15 per cent may go to a Chinese firm. The Malaysian firm, through its wholly-owned subsidiary Petronas International Corp, had in 2011 bought Canada’s Progress Energy Resources Corp in a Canadian Dollar 5.2 billion deal to get the Altares, Lily and Kahta shale gas assets in north-eastern British Columbia. Petronas had previously announced that it plans to sell up to 50 per cent of the Canadian project. After deals with Japex, Petroleum Brunei and the latest deal for 25 per cent with firms like IOC, it now has another 12 per cent to offload. “We are in advanced talks with other buyers for the remaining 12 per cent,” he said, without providing any further details. The Malaysian firm is planning to build a liquefied natural gas terminal off Canada’s Pacific Coast, aimed at exporting natural gas to Asian markets. Progress Energy has more than 1.9 trillion cubic feet of proved and probable gas reserves in British Columbia. 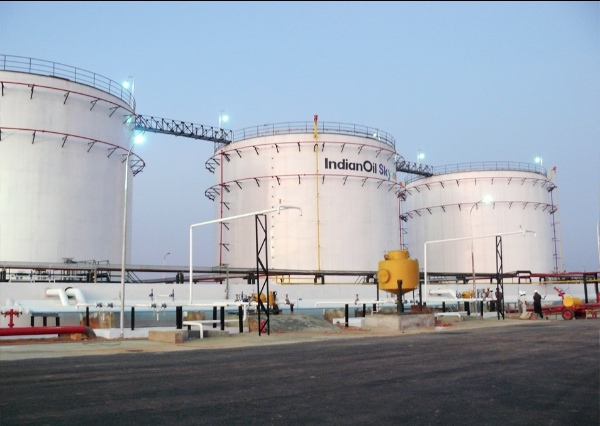 IOC’s 10 per cent will come with an offtake agreement for the Indian energy company. IOC is looking to expand its portfolio of exploration and producing assets while Petronas wants some of its costs to be shared. IOC, which had previously ventured into overseas oil and gas exploration and production with state-owned explorer OIL India Ltd, is currently talking to Petronas alone. There has been no decision so far on taking OIL on board for the acquisition. The Middle East supplied about 62.2 per cent of India’s oil imports in April-January. India imported 3.7 million bpd of oil in January, up 5.1 per cent from a year earlier.